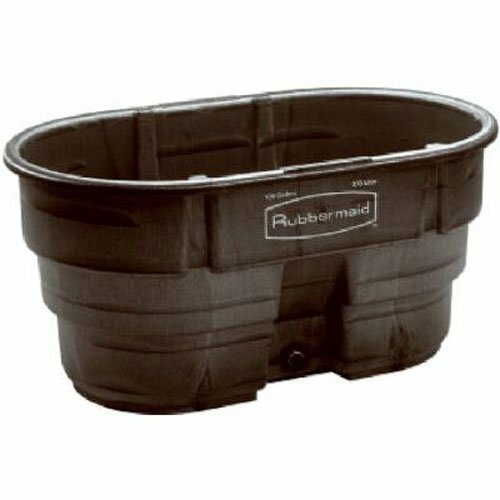 The Rubbermaid Commercial Stock Tank, 70 Gallon, has a sleek appearance and smooth black color. 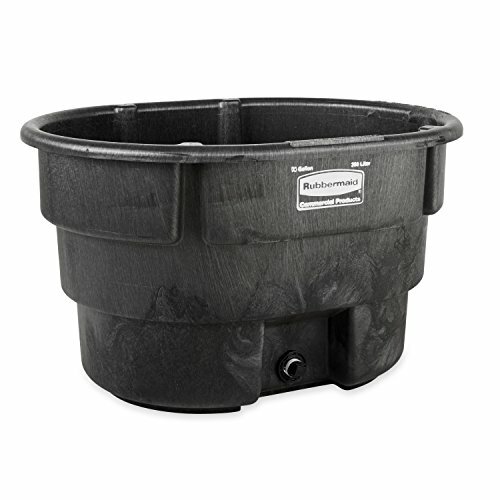 This 70 gallon stock tank features an easy-to-use drain and seamless structural foam construction that resists weathering and cracking for long use. 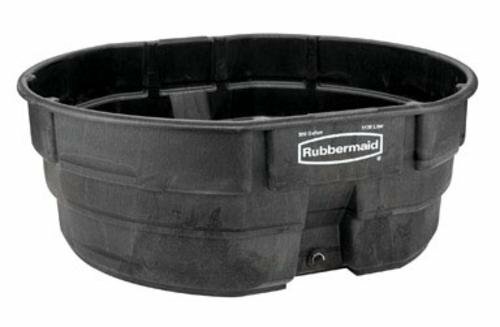 The Rubbermaid Commercial Stock Tank, 150 gallon, has a sleek appearance and smooth black color. This 150 gallon stock tank features an easy-to-use drain and seamless structural foam construction that resists weathering and cracking for long use. 300 Gallon, Gray Stock Tank, 25"H x 69"W x 63.3"L, Durable Structural Foam Plastic, Single Piece Seamless Construction, Engineered To Withstand Cold Weather, High Winds & Ill-Tempered Animals, Rustproof, Dent, Crack & Corrosion-Resistant Even When Frozen Solid, Heavy Duty Reinforced Underside Ribs, Caged Heaters & Float Valve Systems Are Accepted, Drinker's Wide, Tilt-Back Opening Makes It Easy For Hogs, Sheep & Goats To Use, 1.5" Oversized Drain Plug, Use For Small Animal Dipping, Disinfecting & Washing, Duramold Construction For Rugged Farm Tough Applications. 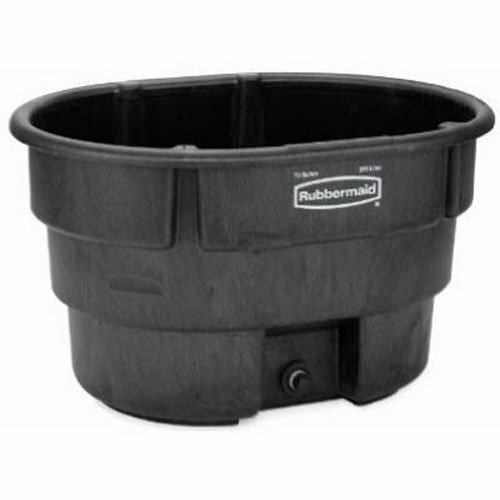 The Rubbermaid Commercial Stock Tank, 300 Gallon, has a sleek appearance and smooth black color. 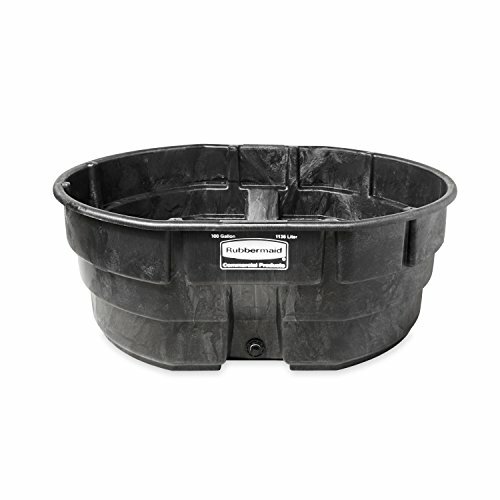 This 300 gallon stock tank features an easy-to-use drain and seamless structural foam construction that resists weathering and cracking for long use. Tuff Stuff Products 40 gallon oval tank, tub. It's heavy-duty, smooth edges, impact resistant with industrial endurance. 100-Percent recycled LDPE flexible plastic which gives a rubber-like quality. 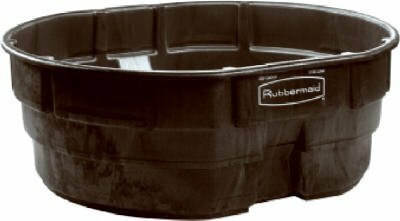 Great for aquaponics, hydroponics, secondary containment, for feed or water for horses and cattle, as planter, industrial container, small pond, pond liner, cooler (with ice) for outdoor events, dog grooming and flea dipping etc. Go Green. Buy Recycled. Approximate dimension: 27" W x 40" L x 13" Height ; 16 lbs, 1/4" thick. FG424700BLA Features: -All-plastic float valve provides constant level of water. -Oversize drain plug makes for easy drainage and cleaning of stock tank; 1-1/2'' oversize drain. -Material: Structural Foam. -Price is for 1 Each. Product Type: -Receptacles. Dimensions: Overall Product Weight: -0.5 Pounds. 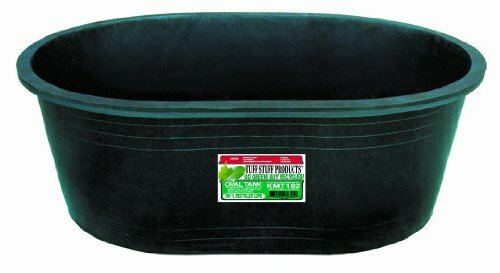 Tuff Stuff Products 30 gallon oval tank, tub. It's heavy-duty, smooth edges, impact resistant with industrial endurance. 100-Percent recycled LDPE flexible plastic which gives a rubber-like quality. 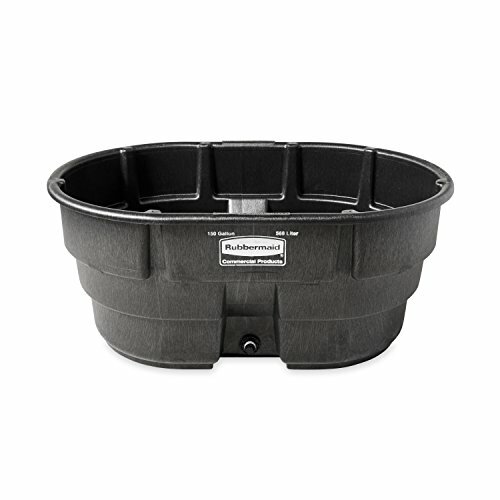 Great for aquaponics, hydroponics, secondary containment, for feed or water for horses and cattle, as planter, industrial container, small pond, pond liner, cooler (with ice) for outdoor events, dog grooming and flea dipping etc. Go Green. Buy Recycled. Approximate dimension: 25" W x 35" L x 12" Height ; 16 lbs, 1/4" thick.